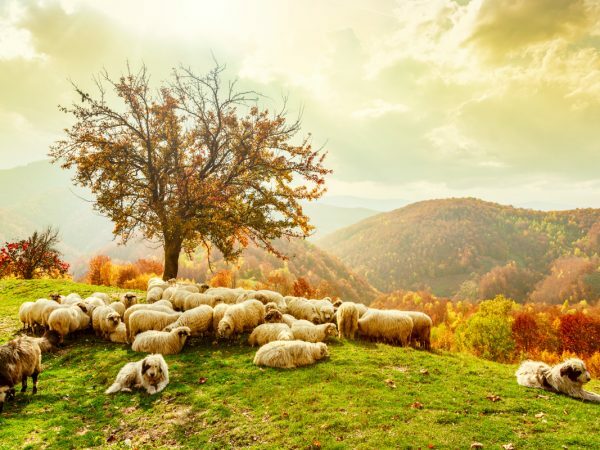 Romania is a land of infinite diversity and great authenticity, combining the charming beauty of nature with the rich cultural heritage and the warmth of its people. 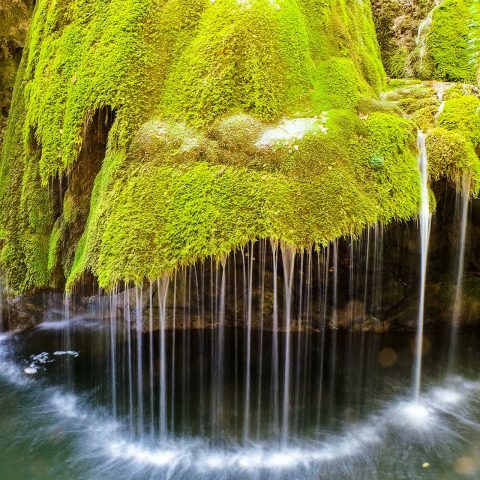 There are certainly many things to see and do in Romania, from climbing the highest mountain peaks to swimming in the Black Sea and from exploring the glittering cities to experiencing the authentic life of the old villages. 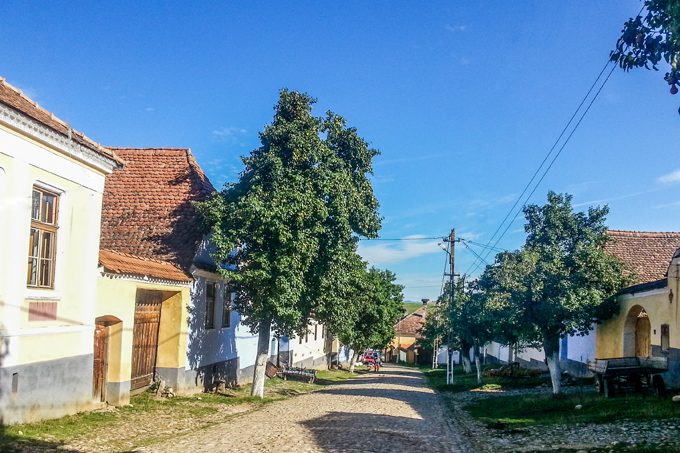 Among the rural destinations of Romania, one village has become known in the whole world over the past decade, a unique place where time seems to stand still and people continue to live outside the modern world. 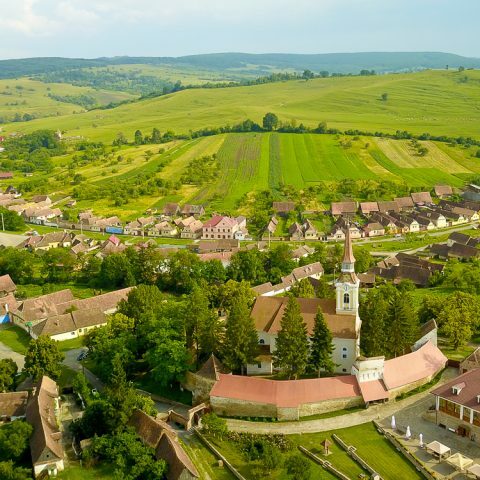 The village of Viscri is a unique reason to visit Transylvania and might as well be one of the main reasons why Prince Charles of Great Britain fell in love with Romania. He began to visit and discover the Transylvania heritage many years ago and charmed by the beauty of the landscapes and the authentic way of life, he came back year after year, buying a traditional house inside the village and becoming an advocate for traveling to Romania. The village of Viscri is one of the oldest in Brasov county and all of Transylvania, its beginning being lost in time, although the first mentioning appears in the 15th century. The Saxon colonists came in this area of Romania somewhere in the 12th century, settling or establishing new villages, most of them having beautiful fortified churches in the middle. This is also the case of Viscri, dominated by the impressive rural fortification with its charming Romanic church from the 13th century. The mysterious monument rises above the gentle rolling hills and the traditional atmosphere that hasn’t changed in centuries. People still live from their farming and animal growing, although the development of tourism has introduced a new activity in the village. 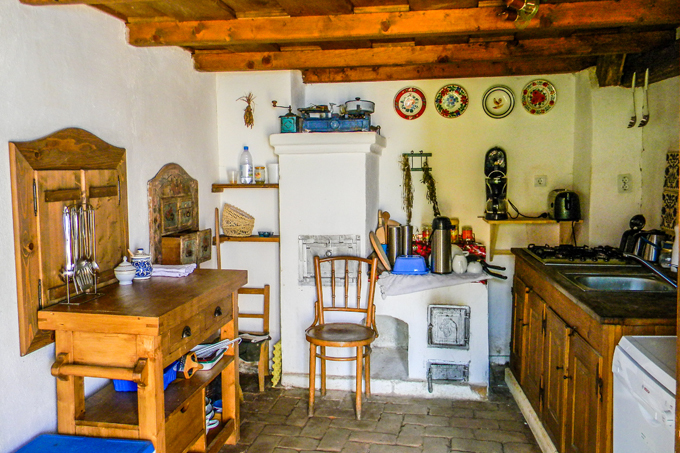 Many peasants are now transforming their traditional authentic Saxon houses into beautiful and welcoming guesthouses. 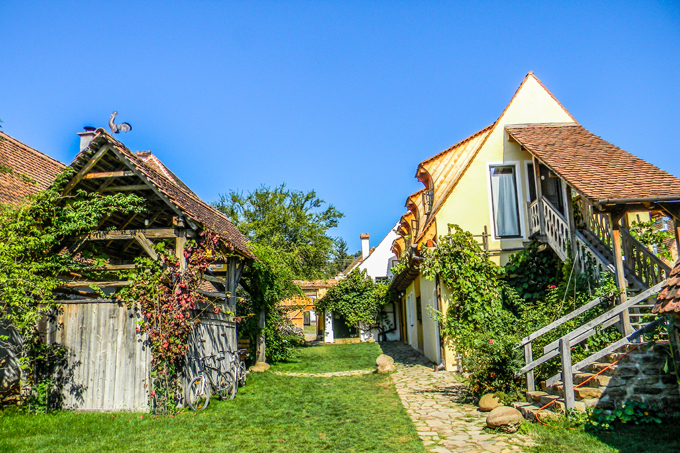 Travelers have become more and more intrigued and fascinated by the so-called Prince Charles village in Transylvania. 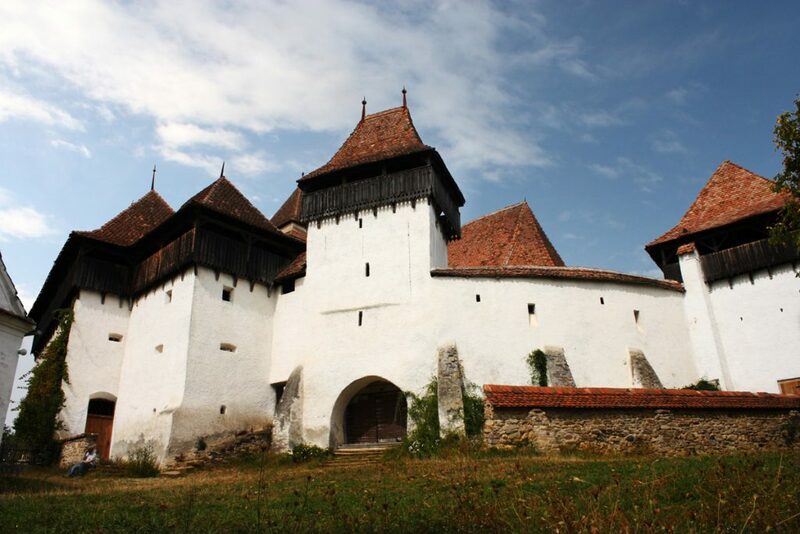 The fortified church of Viscri is inscribed in the UNESCO World Heritage, together with six other monuments of the same type in the villages of southern Transylvania and represents the main landmark of the village. The veritable small citadel includes strong defensive walls that encircle the small Romanic chapel that was enlarged in the 16th century. During those perilous times, it became a necessity for the people of the village to have a safe place to retire in case of danger and as the church was usually located right in the middle of each village, many began to build small fortresses around those churches, becoming the religious, cultural and military centers. After long renovations, the former magnificence of the fortress can be admired again, rising over the small houses nestled between the surrounding hills and on the background of the tall Carpathian Mountains. 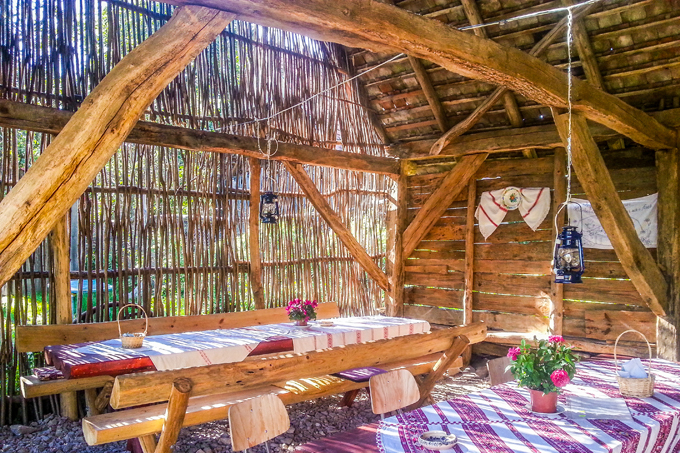 A visit to Viscri is an authentic experience of traveling through time, of returning to a more pure way of life, far away from civilization, as it is also stated in the amazing series of documentaries about Romania, Wild Carpathia. 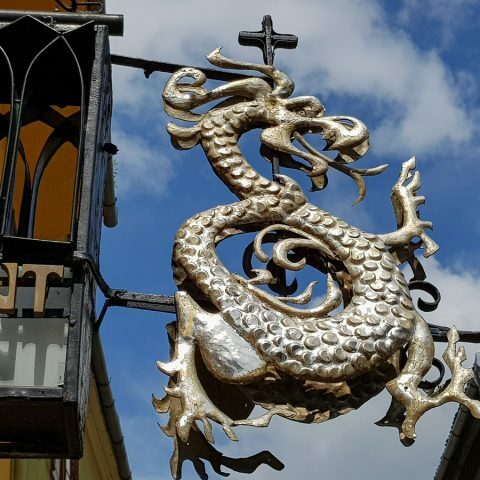 Apart from the overall character of the village and the feeling of living in a fairytale country, Viscri includes several interesting places to see and things to do. The most important is of course the fortification and the chapel inside, a mysterious Romanic monument with old origins. 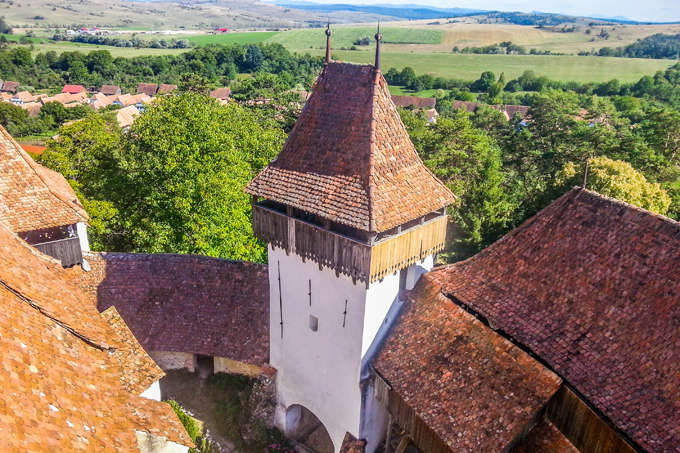 While inside the fortification, visitors should also take the time to climb in the lookout tower for a fascinating panorama of Prince Charles village in Transylvania, with its tiled rooftops and rural landscape. Inside the church, there is the so-called Holy Font, on a piece of old stone column, probably coming from the older, now lost chapel. 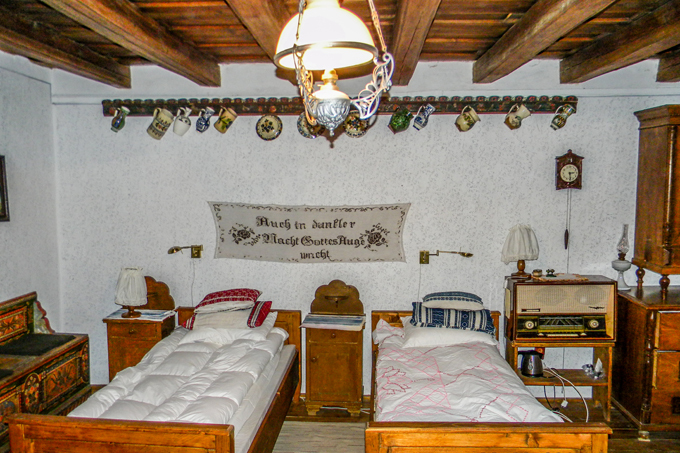 The church also harbors a small museum about the traditional life in a Saxon village. Another fascinating experience is to walk around the peaceful village and observe the traditional life and charming architecture. there are also several workshops in Viscri and travelers can learn more about the Transylvania heritage by visiting one of the them. Leaving the village, there are many hiking routes and paths that pass through unforgettable landscapes, green pastures and dense oak forests. Subject of many reportages and stories throughout the British and international mass-media, including the hit series of travel movies Wild Carpathia, the village of Viscri has come to the spotlight of Romanian tourism, thousands of foreign visitors arriving in the private guesthouses each year, some of them thanks to the publicity from Prince Charles. The truth is that Viscri is just one of the reasons to visit Transylvania, as there are dozens of such places near and far in the region and the whole of Romania. So if travelers from the four corners of the world feel the need to evade and meet an authentic place where people still live in perfect communion with God and nature, then they should also give the village of Viscri a chance. 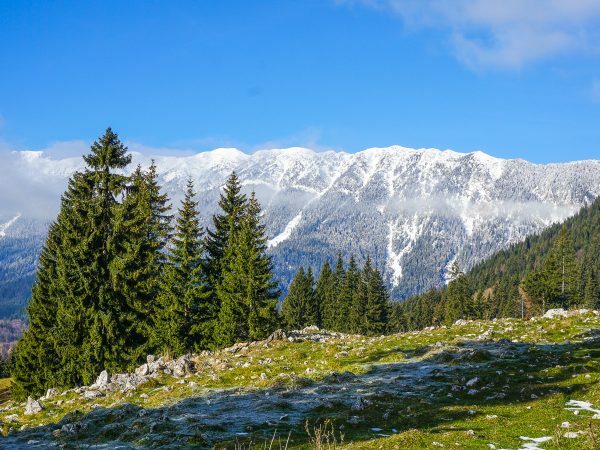 You will hike in the forested mountains of Transylvania, discover beautiful countryside and the wildlife of the the legendary Carpathian Mountains. This amazing hiking tour is available from December to March. Grand Tour of Romania: the culture and history of Romania trough a comprehensive 10 days tour which include the most important sights of Transylvania, Maramures and Bucovina Regions.